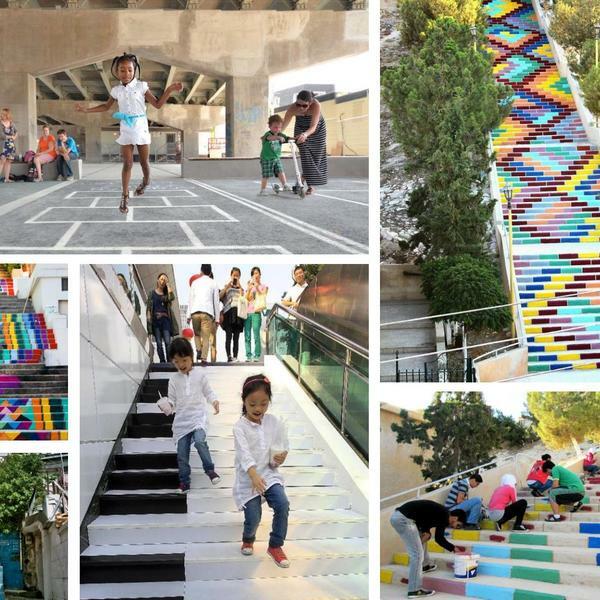 Every day, thousands of low-income families climb up and down stairs in order to access nearby public transportation stops, schools, shops, parks and playgrounds. 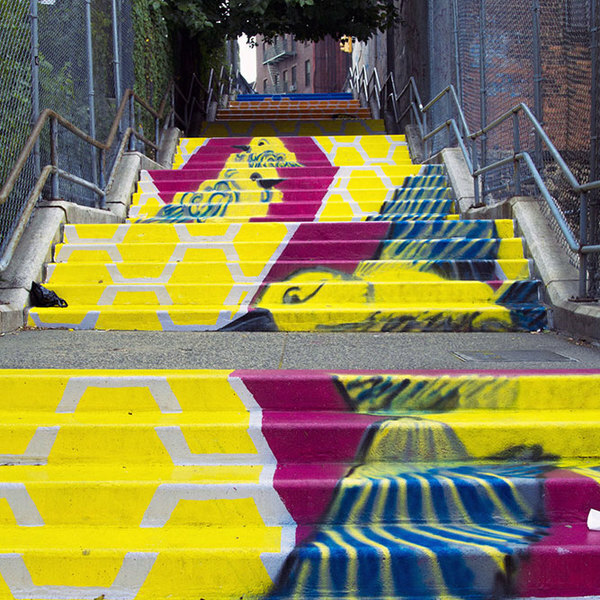 Step streets are open-air, mid-block staircases that create shortcuts across the hilly topography of the Bronx. 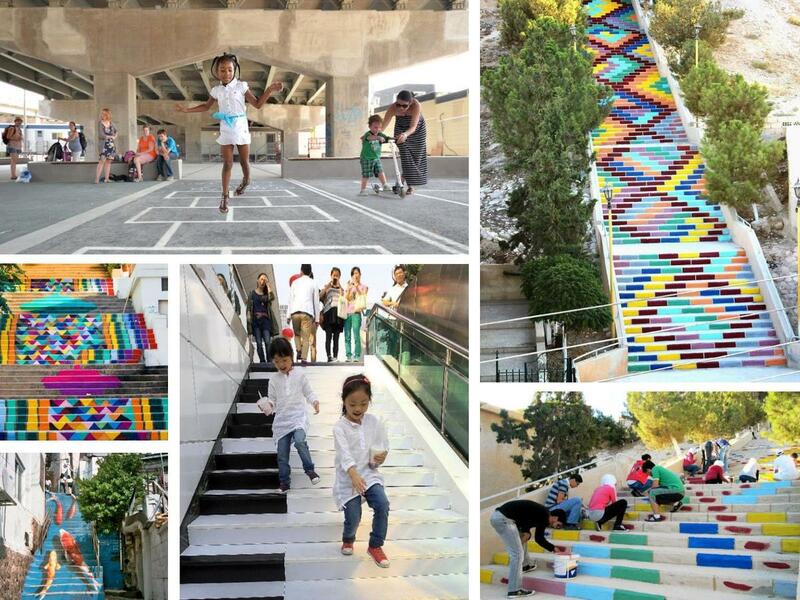 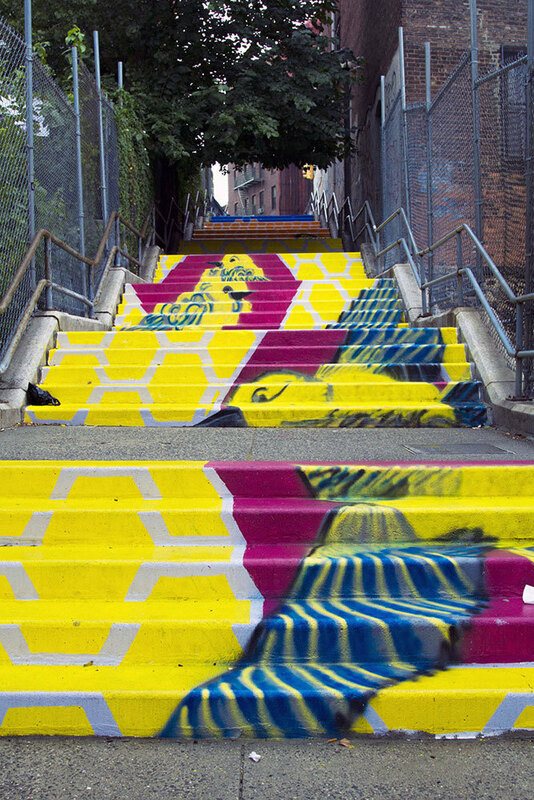 Bronx Steps 2 Health activates up to three step street sites with large-scale murals that celebrate the geometry of the stairs. 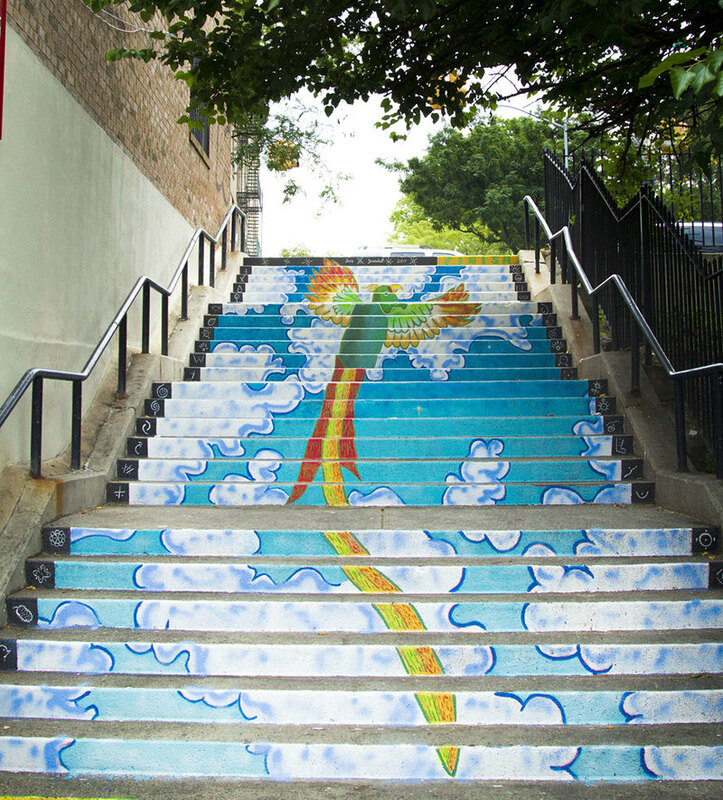 The murals are located in a densely-populated neighborhood where hundreds of residents pass by the sites every day on their way to school, work, shops and public transportation. 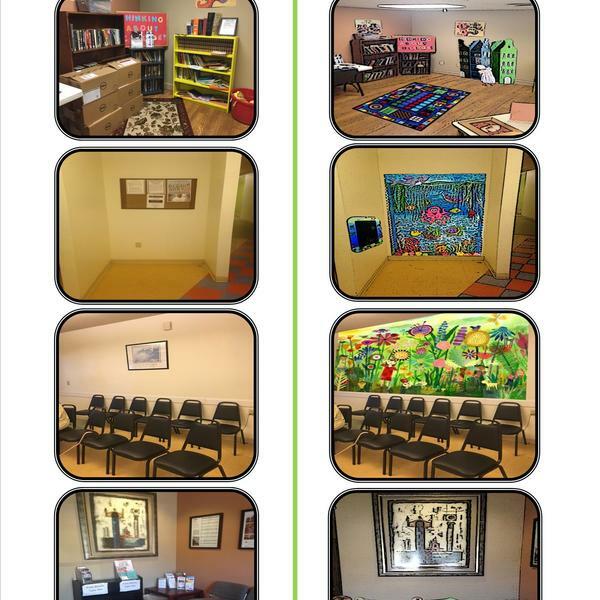 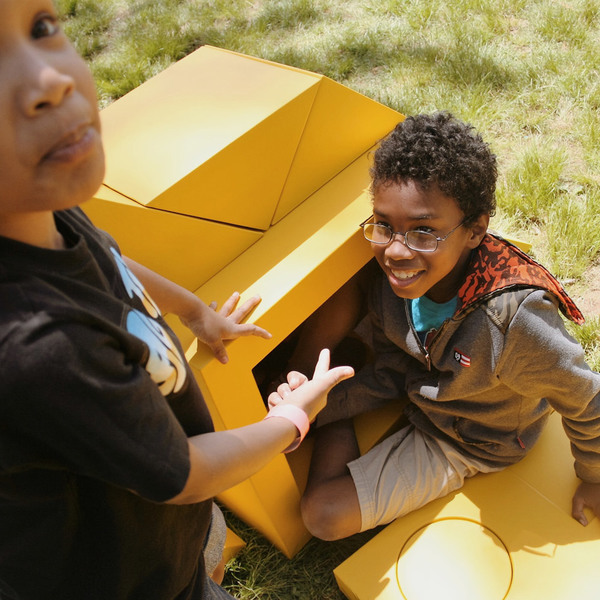 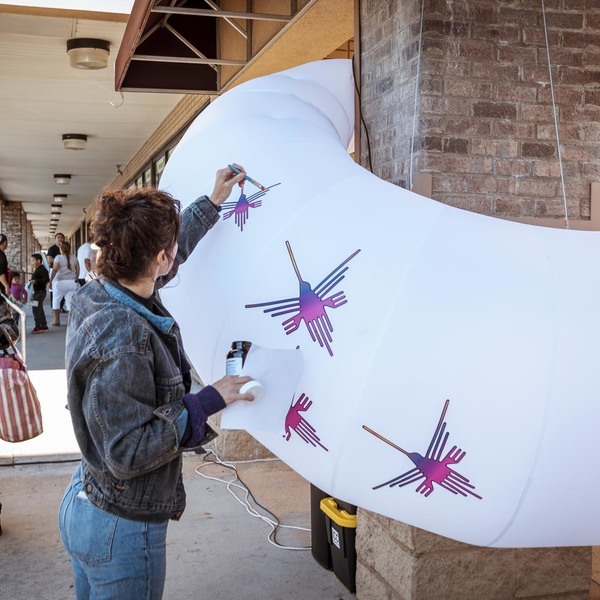 Kids in the community are excited to participate and interact with the new public art in their neighborhood. 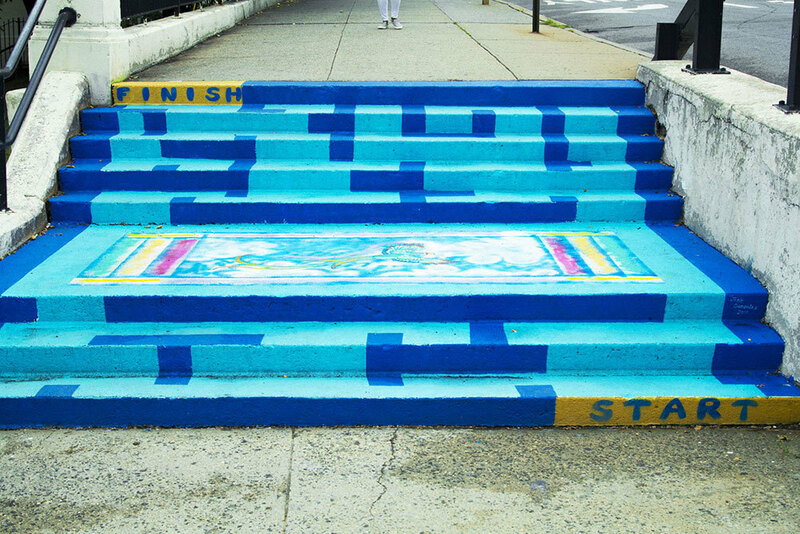 By beautifying the sidewalk and creating new opportunities for social interaction, Bronx Steps 2 Health improves the pedestrian landscape of the neighborhood and encourages walkability and physical activity. 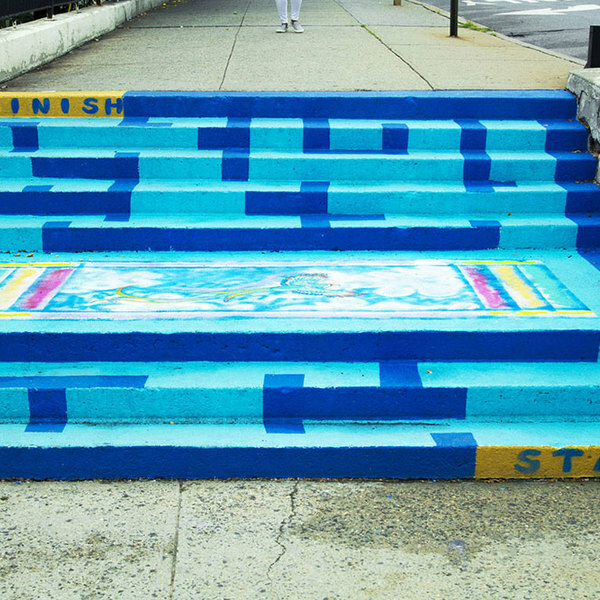 Since the installation, 60 percent of the residents surveyed take the step streets three or more times per week.